Nevertheless, considering how difficult it is to survive as an author, I am not going to defend book piracy. Yet this phenomenon, which also occurs in many other countries of the global south, gave a name to the independent distribution collective for artists' books that I am part of: Bandrolsüz. Although my main subject here is not Bandrolsüz or piracy in Turkey, both are relevant when talking about independent publishing practices in Istanbul that focus on visual arts and artists' books. As I hope to demonstrate, Bandrolsüz is like a small island amongst many, where the individual islands are only able to develop resources and build larger ships if they act collectively. However, some other local phenomena need to be explained before I move on to the rest of the story behind Bandrolsüz's name, and tell you more about the other ‘islands'. First, it is necessary to emphasize the obvious: that publishing is, amongst others things, the act of enabling authorship. To venture into publishing is to take up a position of masked authority. Yet most relevant art is, or at least appears to be, critical of authority in most cases. 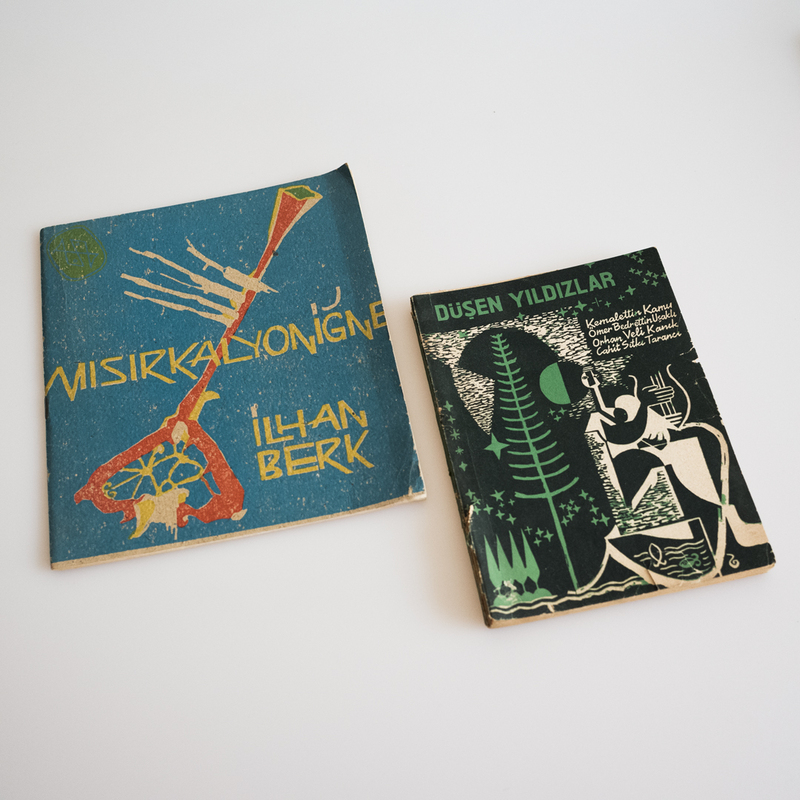 The pioneers of the artist book in Turkey used their publications as poetic gestures against the authority of certain exhibition, education and commissioning practices. For example, İsmail Saray's small artist book Leonardo da Vinci (1978) engaged with the Ministry of Culture's State Painting and Sculpture Exhibition by celebrating artists that refused to be a part of it. Another example is Alparsan Baloğlu's Artistic Dimensions for Carpenters (1983), which, on each page, states the obligatory dimensions of canvases that graduates of the Istanbul Fine Arts Academy had to adhere to throughout their courses. To shed a more direct light on the situation, I would now like to explore the context of independent artists' book and art publishing in Istanbul, in relation to piracy and to the social, economic and bureaucratic issues that shape this active and yet rather loosely connected scene. First of all, we need to work through a condensed history of artists' books in Turkey. Istanbul was once home to some of the best illuminated book makers in the world but, due to our sudden restructuring as nation-state, this became lost in transcription1. Similarly, as Yavuz Parlar also relates in his unpublished Master's Thesis on Artists' Books in Turkey (2012), illustrated books of poetry and prose were produced as a result of collaborations between writers, poets and painters between the 1930s and the 1970s and 80s in Istanbul, forming part of the vaguely defined predecessor of artists' publications. Unsurprisingly, during those years a quiet clash was happening between conceptual artists who studied abroad and artists, mostly sculptors and painters, from the Academy of Fine Arts in Istanbul. It was those years that witnessed the production of amazing small artist publications by artists such as Serhat Kiraz, Alparslan Baloğlu and İsmail Saray, amongst others. Most of these artists also collaborated within collectives or groups, some of which had almost ritualistic practices. Sanat Tanım Topluluğu (The Definition of Art Group, STT) and Koridor (Corridor) were two of the most important groups that dealt with printed projects. Whereas STT focused on textual art, the later-established Koridor was an exciting mail art project. Perhaps because there was only limited interest in the practice of these groups and artists' books, Istanbul had to wait until the 1990s for the emergence of an independent publisher that specialized in contemporary art – namely, for Halil Altındere's "art-ist", which then only existed as a biannual magazine. It later ventured into publishing artists' monographs and reference books on contemporary art from Turkey2. However, for my generation a breakthrough happened with the return of Banu Cennetoğlu. Having practiced abroad for many years, she founded BAS, an artist-run space dedicated to printed matter and artists' books. At the same time, she also collaborated with Philippine Hoegen on the publication project BENT, which realized four artists' books and one posthumous facsimile production of a six-volume graphic novel by Armenian artist Masist GÜL. Through BAS, Cennetoğlu also conducted research on other artists' collectives that focused on printed matter; one of these was Koridor which, although by then had been dissolved for a very long time, came together for a historic talk. To return to the story of Bandrolsüz's name we need to roll back to 2001. 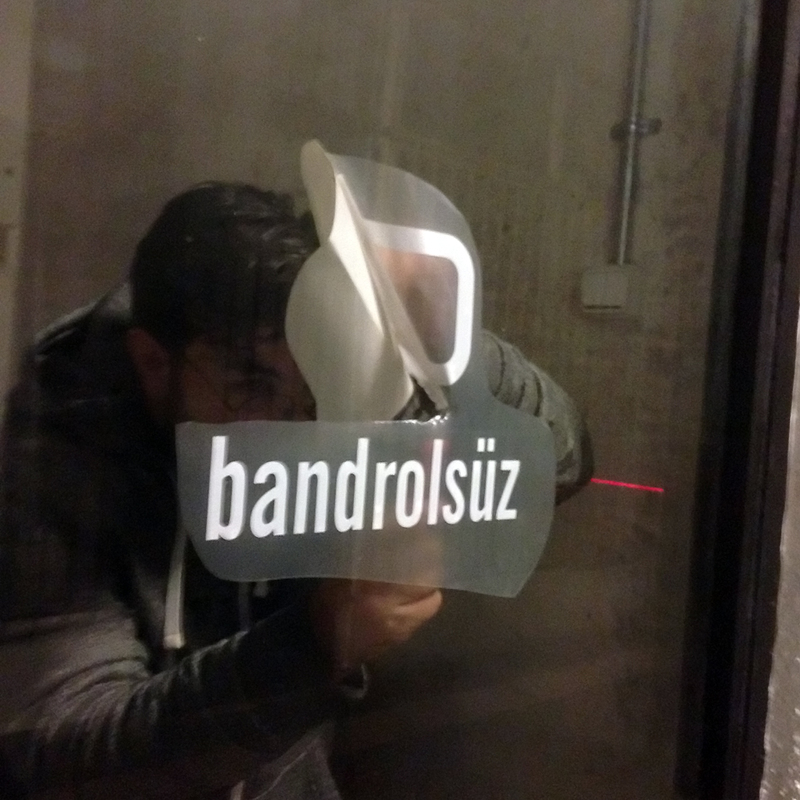 The government at the time, led by Bülent Ecevit, devised and passed legislation that required most mass-produced copyrighted material, like CDs, cassettes and books, to be stickered with a hologram tax stamp, called Bandrol in Turkish. A former poet and art critic, Ecevit was the last leftist Prime Minister of Turkey before the reign of Erdoğan began. It is easy to speculate that the Bandrol requirement was introduced to fight piracy, but it nevertheless made things even harder for publishing houses by creating additional bureaucracy. Besides registering as a publishing company, one also had to register for a publisher's certificate, not forgetting that it was also compulsory to send in five copies of every published book to the governor's office; this last rule is residual of the constitution and other laws written after the 1980 coup d'etat. Almost ten years after the Bandrol requirement, in 2011, the first shopping mall opened at the heart of Istanbul's former cultural hub, Istiklal Street. 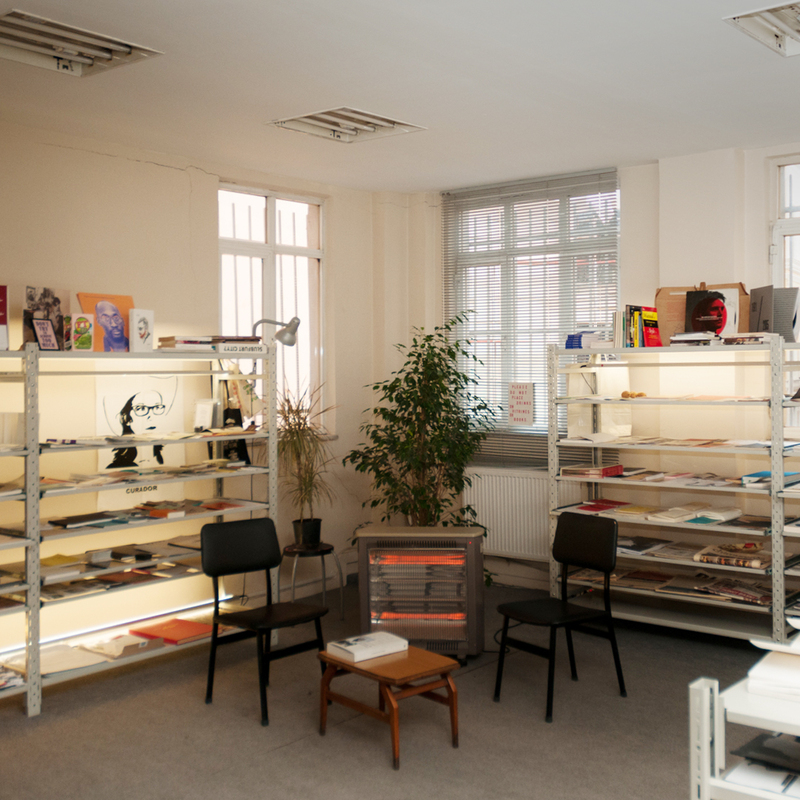 A couple of months prior to this, in September 2010, artists Gamze Özer And Timothee Huguet (founders of Bakkalpress), through an open call, created a big exhibition that showcased more than 200 artists' books at a real estate agent's gallery space. The exhibition, entitled "Even my mom can make a book", was realized with almost no budget and no funding. Displaying more than 200 books from all around the world, the duo brought together young artists that were floating in these calm waters. When the duo ventured into a second show some months later, it led to discussion around the question "how are we going to sell these?". 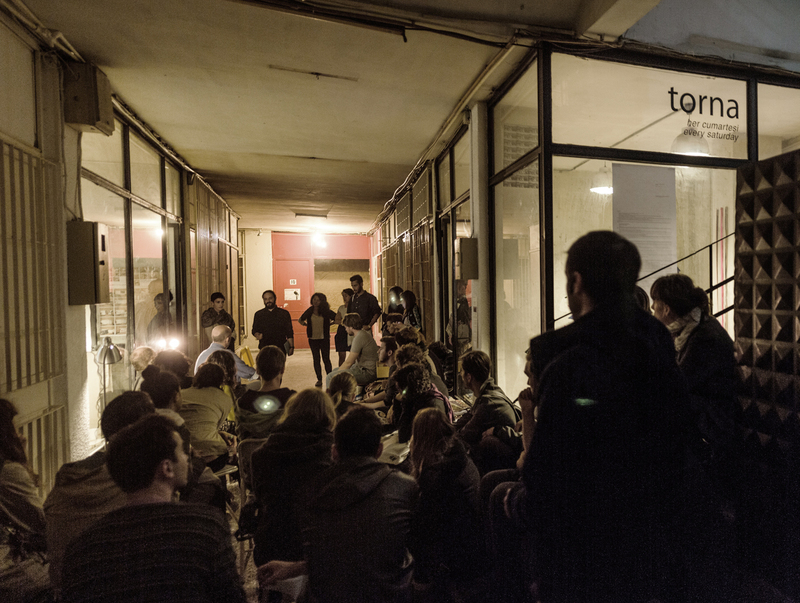 Thus, some of the artists started a pop-up show initiative called Bandrolsüz. The publications in the "Even my mom can make a book" show were mostly produced with digital offset machines, which are cheaply available in copy shops. 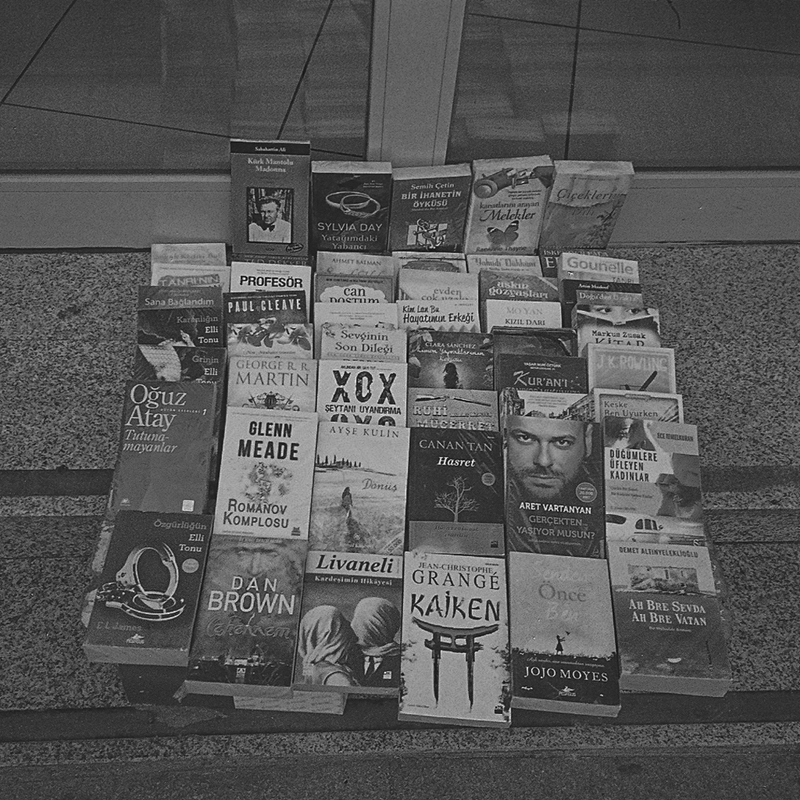 For the average northern reader, the Istanbul copy shop is easy to underestimate. Often these hectic service providers are family businesses that, through the manual labour of pirating old, expensive or unavailable university text books, evolved from one photocopying machine to a digital printing empire that pushes on-demand printing to an extreme. Any artist can go into a copy shop in Istanbul with a PDF of a book and walk out an hour later with an extremely beautiful artists' publication for a comparably low price. As a result of this, a lot of artists started to experiment and use these facilities to create short run artist books, which Bandrolsüz sold in various pop-up shops. Here the question arises – why didn't they use bookstores? Because the bookstores were in trouble as well. Not able to compete with online sales and the rampant economics at the heart of the city, a lot of bookstores that were close to cultural hubs started to close or relocate to back streets. Conversely, one of the founders of Bandrolsüz, Merve Kaptan, set up her own independent gallery space and bookstore with David Unwin, located at the heart of the Asian side of Istanbul. Torna stocked all Bandrolsüz self-publishers and also had an online book store. Kaptan and Unwin's initiative created, somehow, a space for Bandrolsüz as well. As copy shops get bigger and more precise, Istanbul art scenes have also started to see artists gathering around certain equipment or publications. A Riso copier activated by Ata Kam, a silk screen studio run by Ha Za Vu Zu and Yaprak Kırdök or a letter press become enabling nodes for creators, or some co-ventures combined more profitable businesses with publishing, like photo books and coffee in the case of FiL. Similarly, Bantmag started as an alternative cultural magazine in 2004 and now has its own space on the Asian side of the city and publishes illustrators' portfolios and photography books. Another recent phenomenon is The Booklab. Initiated by German artist Frederic Lezmi and later joined by gallerist Kerimcan Guleryuz and graphic designer Okay Karadayılar, this workshop-like condensed event aimed to offer a co-design experience for artists working with printed matter. Mostly focusing on photographic work, I would argue that The Booklab inspired a lot of university lecturers in Visual Arts and Photography to make bookmaking a part of their curriculum3. All these small islands are far from being networked in a real sense. The reasons are logistical and emotional. With their focus fragmented into different practices outside their own artistic one – like teaching, activism, journalism or advertising – most artists in Turkey, one can easily say, don't find the time devote to establishing a legal cooperative structure for distribution, which would also act as a hub. A cooperative structure requires immense devotion, openness and patience; attempts are being made by organizations such as Dünyada Mekan, a co-working and meeting space run by freelancers and white collar workers, and DÜRTÜK, a collective to support local farmers and gardeners in Istanbul who are resisting governmental policies of dispossession. But the distrust of state authority and the desire for a strategy to avoid it at all costs marks our lives and, as a result, both these communities are not officially legal cooperatives. With all this background information, I would now like to return to my metaphor. Hesitant to build sturdy ships to sail the oceans, artists' publications in Turkey can be seen as a loosely connected and fragile network of passionate efforts. These efforts nourish each other with interesting and engaging work as part of a community that is very small compared to the large population of Istanbul. But questions are always in the air: How can we sustain this production? And does the network need to develop organisations or structures in order to sail new waters? How are we going to archive this production in a country that often obscures, neglects or writes over its own archives? Shall we instead forget about all these questions, and just enjoy our beautiful islands? But, then, what are we going to do when others arrive with larger ships? * This article was firstly published by MAXII as a part of The Independent Project, named Indiestanbul in July 2016. You can reach the original text in here.